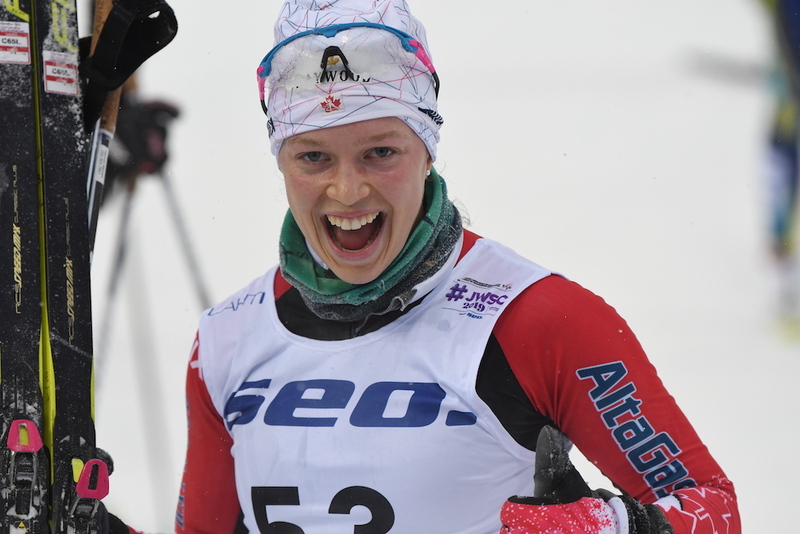 U23 World Championships in Lahti, Finland got rolling on Jan. 21 with a classic sprint. In our quest to check in with some of the North American athletes in Finland, with emailed a list of quick-hit questions to touch base. Hannah Mehain is a first year senior athlete studying at Okanagan College. She has been on the Junior National Team and raced at World Juniors the last two years. Mehain also collected a top ten result at Canadian Rowing Nationals in November, 2018. What is the first difference you noticed between Finland and Norway? The food. At the camp in Norway, there was more variety in the diet. Here, it’s potato and fish every day for lunch and dinner. Plus there was caramel-like brown cheese in Norway. What are you reading? Currently, I am reading a genetics and microbiology textbook for my studies at Okanagan College. How are you approaching this Worlds differently than those in the past? This year, I am less concerned about the result and more concerned about learning how to race fast and ski efficiently. What are some “performance goals” going into the races you are focusing on? If you are asking how I would like to race, then I would like to have a race at these championships where I test my physical limits. Who best supports you when a race doesn’t go the way you envisioned? Although my family and my coach are unable to be at the championships, they are a short video chat away and are always willing to help me stay positive and refocus after a hard race. Who is the first person you call/text/email…etc. when the race goes well? My family and those who are supporting me. How do you best deal with external pressure to perform? I smile when someone tells me I am going to do well because it means they believe in me. In other words, I try to take it in a positive way. How do you best deal with internal pressure to perform? This, I struggle with more than having external pressure. I have been working on taking my focus off of the results and putting my thoughts on how I can have an excellent race. If I can have a really good race, then it doesn’t matter where I place. What type of “fun” are you looking to have outside of skiing in Lahti? I am really looking forward to the bowling tournament we are going to have with the Norwegians this evening.